As one of the fastest and most expensive cars ever built, the Bugatti Veyron is a Concorde moment on the road. But all that money and speed doesn't make them impervious to getting towed every once in a while. 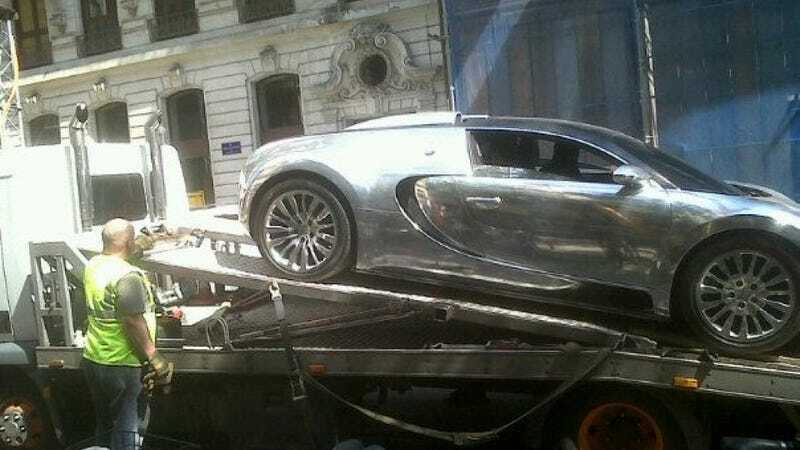 This Veyron — which looks like it could be a $2.5 million Pur Sang Edition — is on a flatbed in Geneva, Switzerland. We are guessing that it is either broken down, was parked illegally, or the owner has some "money issues" that need to be sorted.